This book couldn't have arrived at a better time for me. During my pregnancy, I fell into some bad habits. Often, it would reach the end of the day and I would reflect back on what I had eaten and realise that it was all horribly beige. I gained a substantial amount of weight but with all the nausea, grabbing what food was immediately available was the only way to go. This was usually bread and nuts. I don't know about you, but sometimes when I get into these ruts, it's a little hard to find the inspiration to get creative with a bag of carrots or a head of cabbage. Introducing more colours into our diets seems simple and obvious enough. Honestly though, the correlation between the word "diet" and the idea of plain, boring, tasteless rabbit food leaves a lot to be desired. And this is what Muelrath talks about in her book The Plant-Based Journey: that we really can eat healthier, eat foods that taste great and are quick to prepare, fill us up and feel a million times better. It's not as hard as it had previously appeared to be. Muelrath as she says, has created this book to assist people like me in unraveling my way of thinking about food so that we have all the tools we need to make a change without the usual downfalls. 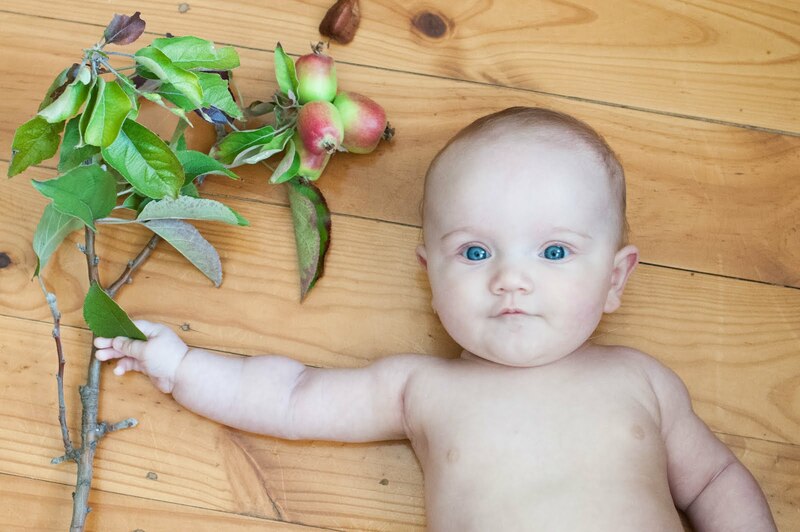 There are six sections to The Plant-Based Journey, each one a new baby step on the way to increasing our fruit and vegetable intake. The sections start from the very beginning of the transition phase and from there Muelrath uses easy to read prose to provide information and examples of ways in which we could improve our health and well being. Muelrath has a background in fitness and nutrition and her passion is obvious whilst reading The Plant-Based Journey. Muelrath gives ideas of serving sizes, which is honestly refreshing. So many times I have picked up raw cookbooks and found them to be laden with recipes full of nuts and agave nectar. Now, I could eat that all day, but those ingredients still lack the colours that I'm looking for which Muelrath provides. Chapter 4 is an interesting one for me. Here, Muelrath has written about hunger satisfaction and how to reach it. I have been known in the past to deliberately push passed that "full" feeling in order to eat more. Crazy, I know. This chapter discusses how to achieve that full-feeling on a plant based diet. How many people have you met that say they don't feel full on salad and vegetables? I've met far too many. But that's the thing. Many people just don't understand how to use vegetables. To many people, eating vegetables means a leaf of lettuce and a wedge of tomato or some over boiled broccoli and some fat laden mashed potato. Muelrath gives great examples of how to construct a meal with all the right components to leave us feeling full and satisfied. The Plant-Based Journey has a handy recipe section and shopping list as well as a guide to substitutions. 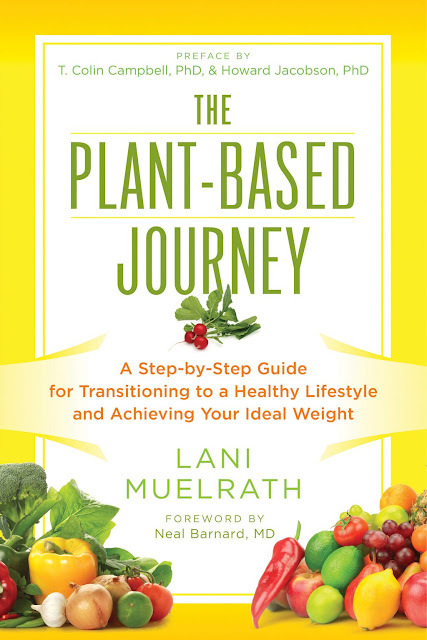 Overall, The Plant-Based Journey by Lani Muelrath is a great way to learn about how to include more fruit and vegetables in your life and make better choices when it comes to health an nutrition. Below is a video from a segment on CBS where Lani Muelrath discusses how simple going plant-based can be. To celebrate the books release, OTKK is giving away one copy! To win, all you need to do is leave a comment. The winner will be announced on Wednesday the 1st of October. I can very much relate to 'too much beige'. I believe my whole family would benefit from this book. Just watched the video. I can't believe she is 63! Definitely a good advert for a plant based diet. Sally, I adore your review and love that you put so much personal connection into it! I'm thrilled that you are doing this giveaway and spreading the good news about Journey. Thank you so much! 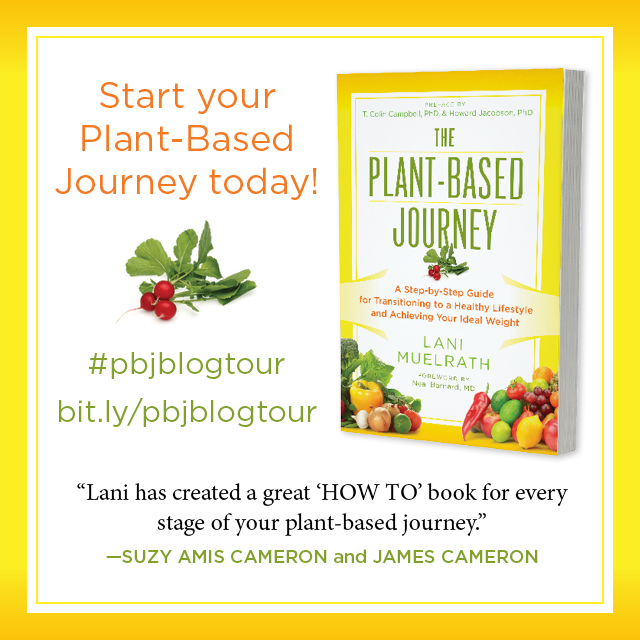 I could really use more help with my plant-based journey and it sounds like this book would provide that. Thanks for the opportunity to win a copy. I like that Lani has a fitness background. I've watched a couple of her videos on youtube and been inspired. Her book sounds inspiring,too!